This volume contains almost 700 excavation reports, and for the first time every one of the 32 counties is represented, even if only by one site, as is the case with County Carlow. As is to be expected, Dublin is again the county where most work took place, much of it in urban areas (118 sites altogether). Louth takes second place (58 sites), with Tipperary and Kildare joint third (50 sites each). 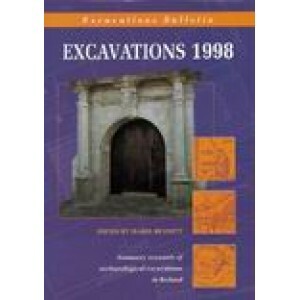 This volume also contains a full index of all the excavations reported on from 1969 to 1998, organised by year and number, by location and by site type. Publication Data Published 2000, hardback, xxv + 348pp, illustrated.